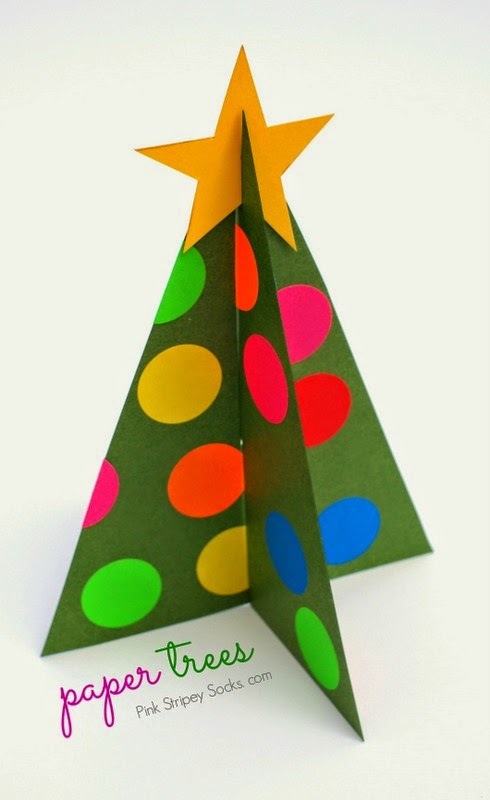 When recipients open their Christmas cards, they'll also see one Christmas tree treat bag . Each bag contains 2 cardstock tree parts, 1 cardstock star, and a bunch of colorful circle stickers . and then assemble the tree by sliding all the pieces in place. Hopefully these little trees with bring friends and family a bit of lovely Christmas cheer this season.